It’s Official: Jurassic Park IV is Coming in 2014! Just days after word arrived that Steven Spielberg’s tentative next film, Robopocalypse, has been delayed indefinitely, comes word that should more than balance out the disappointment felt by fans: Jurassic Park IV is officially on the way with a release date of June 13, 2014! Details on the project are currently few, but Jurassic Park IV will be produced by Spielberg with a director yet-to-be-named. It is also being planned for a 3D release. Currently unconfirmed, it is believed that the most recent draft of the sequel was scripted by Rick Jaffa and Amanda Silver. 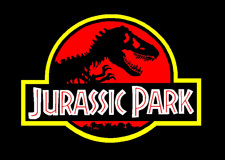 The original 1993 Jurassic Park will see a 3D re-release on April 5 of this year, also hitting IMAX 3D theaters.